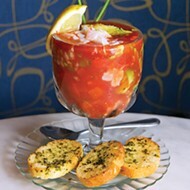 Summer is peak time for produce and inventive menus across the city. These seven restaurants have had fun with food trends and local ingredients to create some memorable seasonal menu additions. Poke has officially become the hottest food trend sweeping Oklahoma City, as multiple standalone concepts are opening across the city and everyone else has seemingly experimented with a poke special. 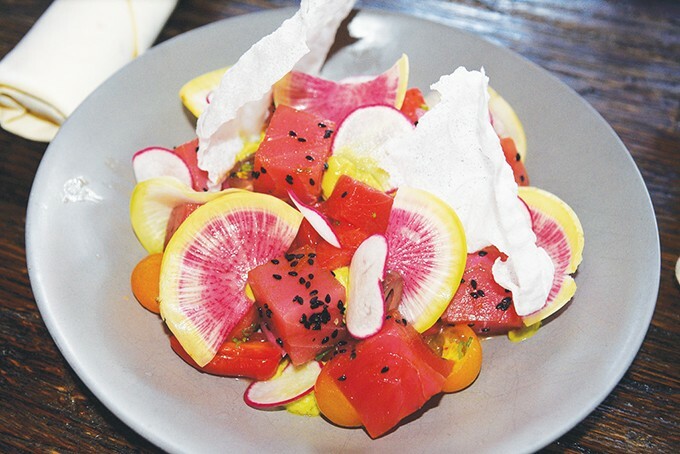 Chef David Henry adds a twist to the concept with watermelon poke that has tomatoes, both watermelon radishes and fresh watermelon, pickled onions, avocado puree, cucumber, black sesame seeds and a rice crisp. Executive chef Jason Campbell has taken Nashville’s famous hot chicken sandwich and put an Oklahoma City spin on it. 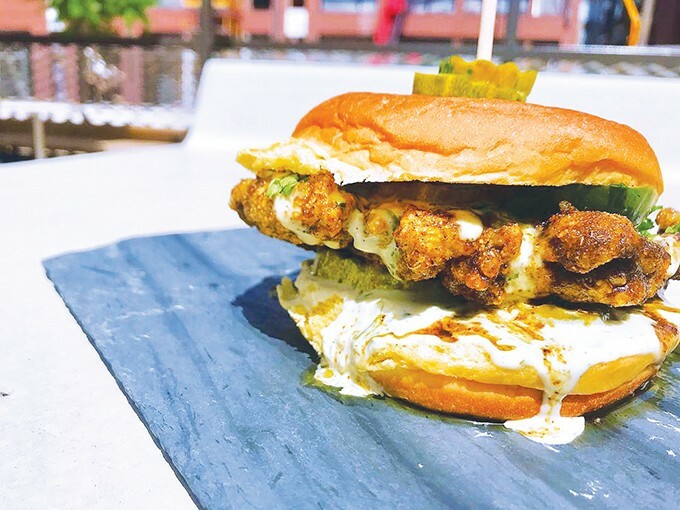 The chicken is fried and drenched in oil and spices but then slathered with ranch, cilantro and pickles and served on a fresh potato bun. Mary Eddy’s changes its menu every few weeks, but this sandwich has been a staple of its lunch menu for most of the summer. 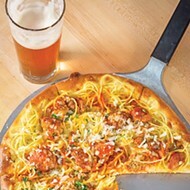 The kitchen and bar at The Jones Assembly has had a busy summer, adding four summer cocktails, three pizzas, four dinner entrees and two salads to its menu for the season. 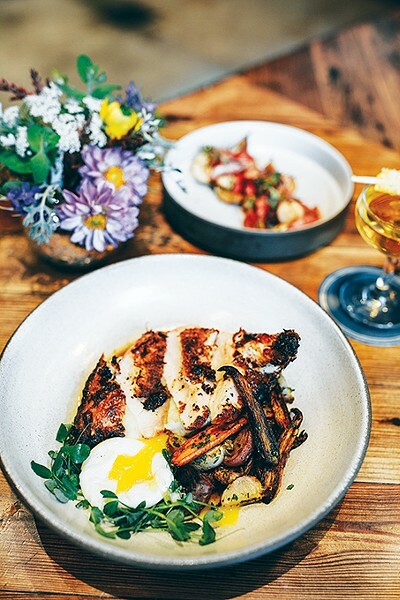 The wood-fired chicken features roasted potatoes, seasonal summer vegetables, crispy skin and chicken jus with a soft-poached egg. It pairs well with the I’ll Bee Drammed cocktail made with honeycomb-infused Famous Grouse Scotch. The Ludivine menu changes by the week, and even by the day depending on what local produce is available. Its Sunday brunch menu, which is available through Labor Day, has a set list of menu items that might change slightly based on fresh vegetables. 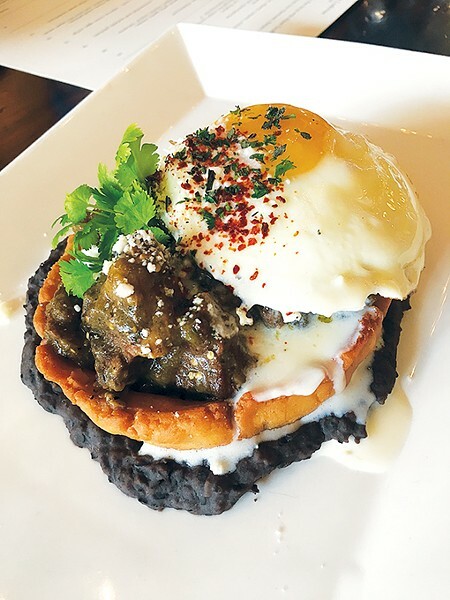 The lobster and grits is an elevated take on classic shrimp and grits, and the green chile sopes is good enough to cause self-reflection about why you aren’t eating it every day. 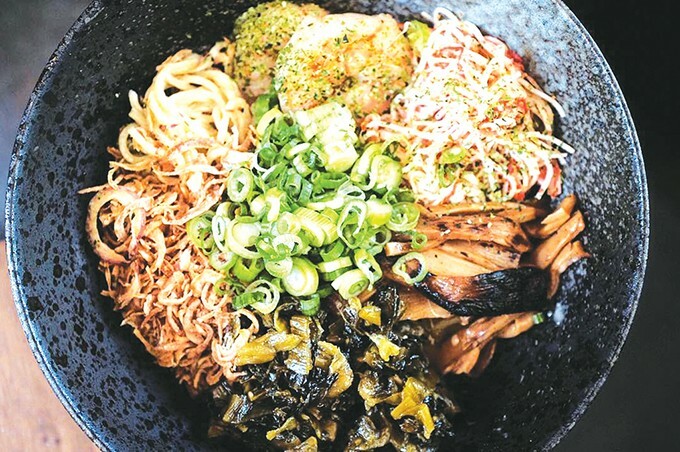 If the thought of eating a steaming bowl of ramen is difficult to visualize as outdoor temperatures push triple digits, Gorō Ramen has unveiled a chilled ramen with sesame dressing, shrimp, surimi, mustard greens, bamboo shoots, green onions and fried shallots. Continue to beat the heat with house-made miso ice cream served with blueberry compote and a cornflake crunch. It has been a busy summer at one of Oklahoma City’s most popular breakfast restaurants. It unveiled a colorful new outdoor mural, new patio seating and new menu options. 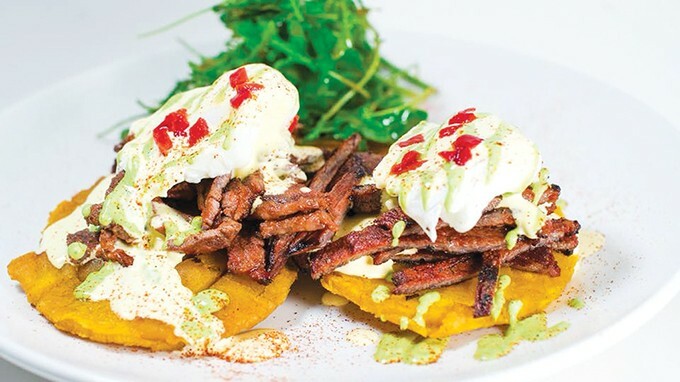 The tostones Benedict takes twice-fried plantains and tops it with marinated steak, two poached eggs and avocado hollandaise sauce. 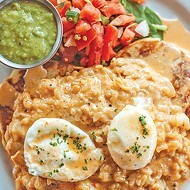 Also check out the Caribbean crabcake Benedict for another inventive take on a breakfast classic. 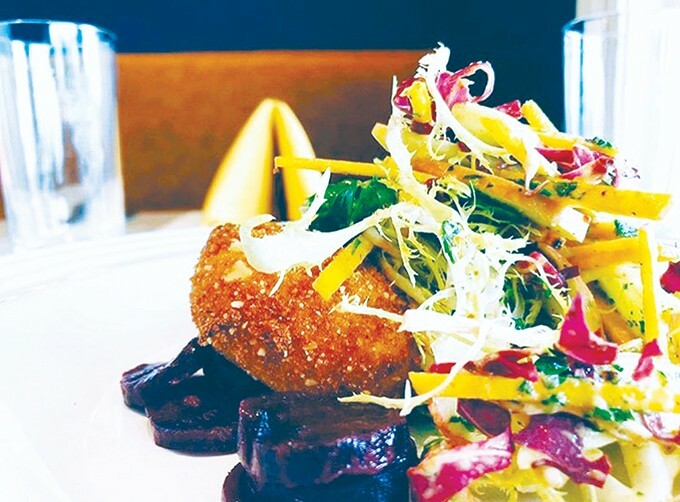 En Croûte unveiled a pair of summer salads including a pear, beet and goat cheese fritter salad (pictured) and an avocado wedge. Lobster-stuffed fried Fresno pepper tops its summer appetizer menu, but it’s tough to beat its wagyu tartare made with Dijon mustard, garlic, lemon aioli, fresh thyme, basil, parsley and shallots.